At the recent 2nd International Sea Trout Forum it was reported that a study of sea trout in the River Shinma in Northern Ireland showed that 85% of eggs in the system are likely to be contributed by larger sea trout. These are fish that have spent at least one winter at sea. There is no reason to suppose that the Taw is much different. It therefore re-emphasises the importance of our voluntary code of returning all sea trout over 4lbs. According to the EA, the 3 netsmen on the estuary took 53 salmon and 85 sea trout in the season just ended. Rod catch numbers are not yet available. 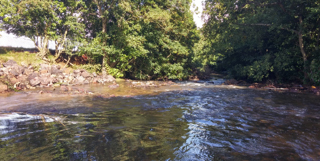 As members know, RTFA has worked very closely and successfully with WRT on the Access over Weirs Project and the Taw River Improvement Project. The relationship and the work continue. There is always more to be done to improve our river. 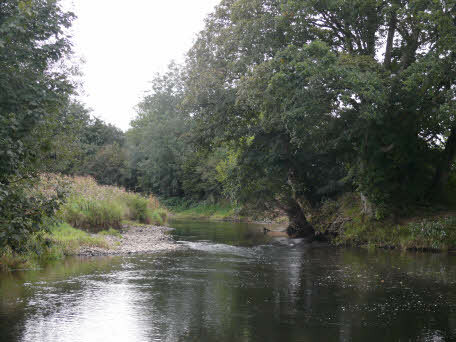 Click here to view the WRT document which makes interesting reading and shows what WRT has achieved for rivers in the south-west in general and for the Taw in particular by accessing Catchment Restoration Funds. In our case WRT’s access to funds via a competitive bidding process was assisted by two fund-raising exercises from RTFA members. 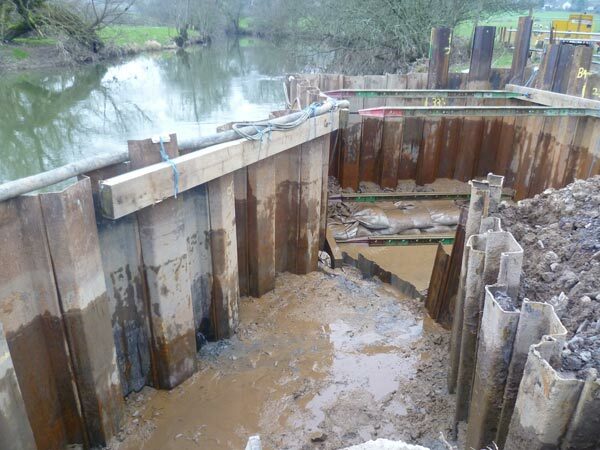 Work at North Tawton Weir has just finished – see before and after pictures below. 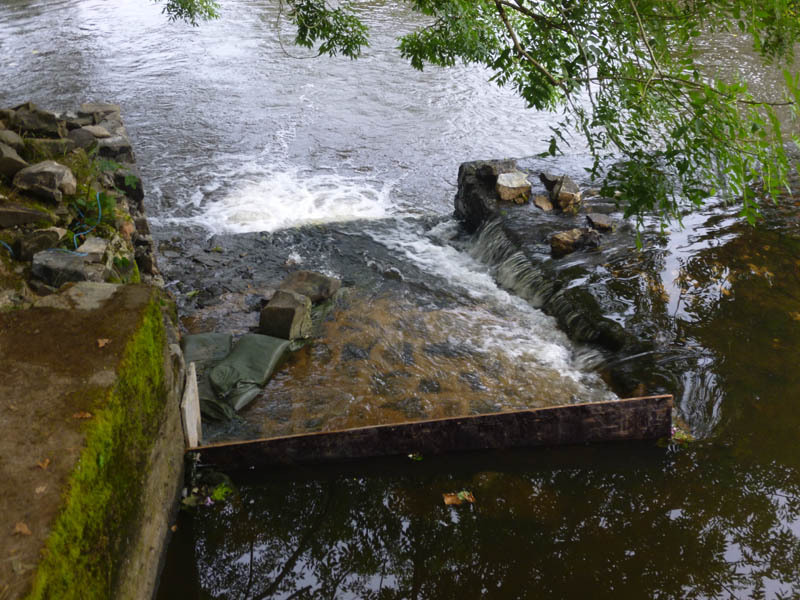 This means that fish passage at all 12 weirs on the main system has been improved. 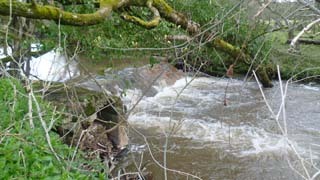 The 12 weirs are - by river and top down: Upper Taw - Irishman’s Wall, Skaigh, Sticklepath, North Wyke, North Tawton, Eggesford, Rashleigh and Colleton; Mole - North Molton and Head Weir; Bray - Filleigh and Clapworthy. By scrolling through Current News and its archive section accessed at the top of that page it is possible to see before and after pictures of each weir. The project has involved a huge amount of work and we must thank the Westcountry Rivers Trust and the Environment Agency for everything they have done on our behalf and also all those RTFA members who contributed to the two fundraisings which essentially provided the seed capital for accessing the rest of the funding. 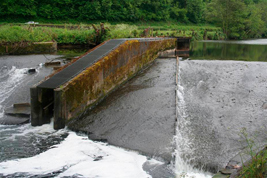 Each weir has presented its own challenges which led to this phrase being coined – “There is no such thing as an easy weir; just a weir with a different degree of difficulty”. We must now let nature and the salmon and sea trout life cycles take their course. We are very hopeful that the improvement to fish passage along with all the habitat work being done on the river will have a significant beneficial effect on our river and its fish stocks. 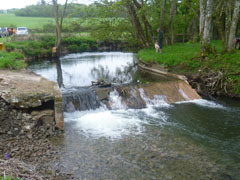 Taw Access over Weirs Project - 2007-2015 - a successful partnership between the River Taw Fisheries Association, the Westcountry Rivers Trust and the Environment Agency. 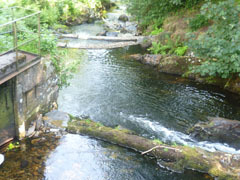 The project had its beginnings in March 2007 when Alan Sullivan, an independent consultant commissioned by RTFA, completed his "Overview of Proposed Supplementary Atlantic Salmon Hatchery and Preliminary Investigation of Fish Passage on the River Taw". This led the RTFA Committee to pursue the access over weirs route. 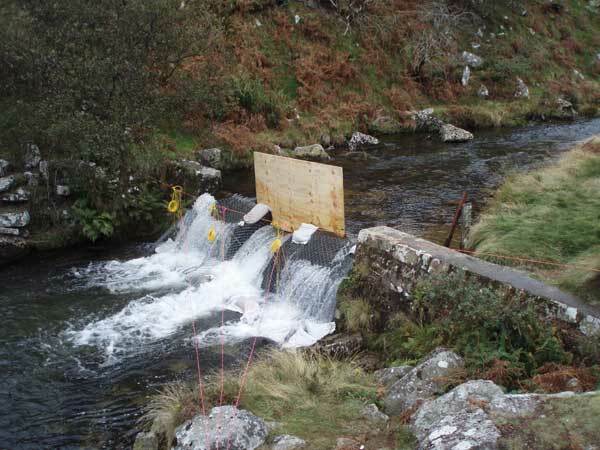 The project gained momentum in November 2007 following completion of the "Overview to Fish Passage on the River Taw System" by Greg Armstrong, the EA National Fish Pass Officer, which provided weir by weir recommendations. 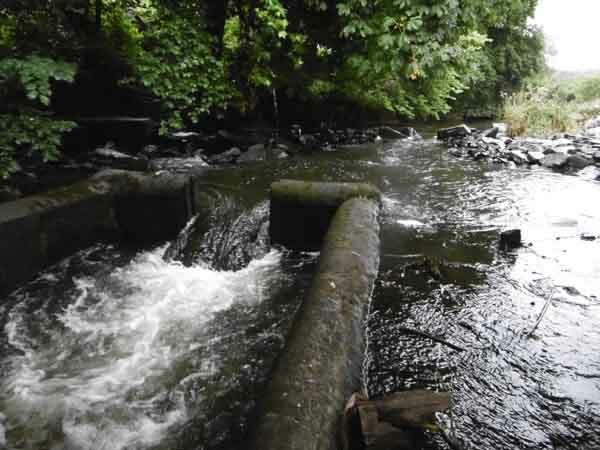 With the project to improve fish passage at the 12 weirs on the main stem of Taw system almost completed we are turning our attention to the lesser weirs on the tributaries. We believe we have identified all of them, but members are encouraged to let me know by email (gibson2sms@btinternet.com) about any smaller weirs they are aware of. The Fisheries Local Action Group working in partnership with RTFA has funded works on the Taw system over the last 2 years. The last works were completed in July this year. That work, the removal of a trash dam and grading the gravels in a pool on the R. Bray will enhance both the movement of salmonids and other aquatic species and a potential spawning site on that river. Before and after photographs show the impact of those works. Thanks to the Northern Devon FLAG and in particular Chrissie Ingle for her help and guidance with the projects. If “5 a day” are good for you . . .pull 5 Himalayan Balsam plants every time you go fishing which will be good for our river . . .
By pulling only 5 Himalayan Balsam plants you will stop 4000 Balsam plants growing next year. What a great return on your investment! However pull 25 and you stop 20,000 growing next year . . . This will be the start of the programme we plan to run next year in conjunction with the Westcountry Rivers Trust. Working with the Westcountry Rivers Trust we have decided it is time to declare war on this damaging plant. WRT has accessed funds for a walkover survey which will be conducted over the next two months and RTFA will make its own financial contribution. This survey will establish the scale of the problem and the uppermost sources of the plant and will lead to a strategic approach to fighting the spread of Himalayan Balsam in the Upper Taw and tributaries in 2016. WRT will involve landowners. Himalayan Balsam needs to be tackled from upstream down. It is anticipated the a successful start in one area of the Taw catchment will lead to a wider effort in the future. Each of us can make an important contribution. Riparian owners are encouraged remove Himalayan Balsam from their beats. Fishermen are encouraged to pull up plants every time they go to fishing. Without a major effort the problem can only get worse year by year. 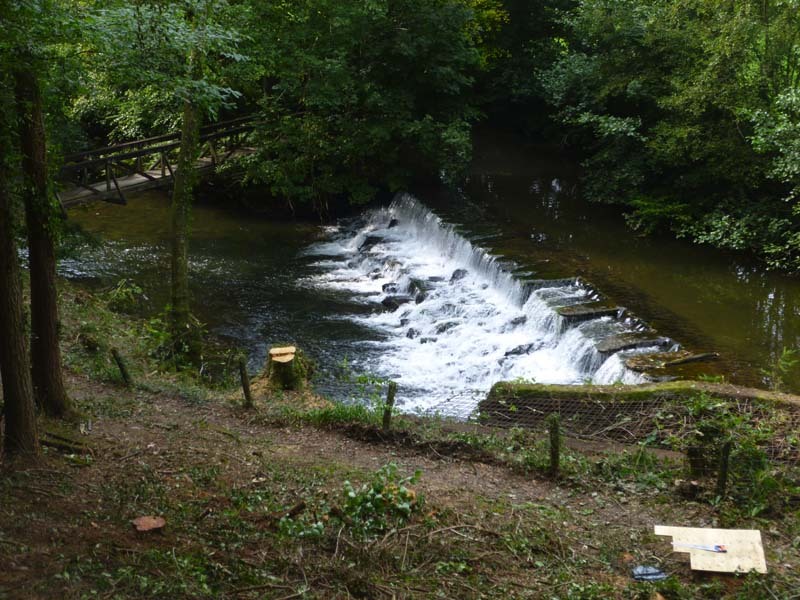 Work to improve fish passage at Eggesford Weir has now been completed with changes made to the upstream exit of the existing fishpass as shown in the pictures below. 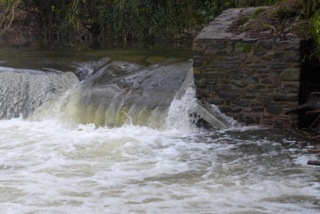 Of the 12 weirs on the main stem of our river system North Tawton Weir is now the only one still to be tackled. This will be done as soon as all consents have been received and, as always, subject to water conditions. The Mole is now in perfect condition and will be so up to this weekend. There are reports of sea trout up to Alswear on the Mole and on the Bray. Rods fishing these beats yesterday both hooked 5 peal. There have been several salmon caught up to the junction with the Bray but most have been in the river for a few weeks. However today I know of 2 fresh salmon caught, one on the Mole and the other on the Junction Beat of the Taw. The colour and height are perfect at the time of writing. 29/7/15. Most fish have been taken fishing deep with Brass or bottle tube flies, shrimp and Willie Gunn type flies. Fishing the Mole so far this season has been hard work for not too much reward. Where the Taw had a lot of salmon though to June, the Mole beats had just a smattering and in June there were several good sea trout caught by those that ventured out late at night. However there were many fruitless sessions as the temperatures were so low and the moon too bright. However now we have something worth reporting. Peal in the Mole and Bray and in good numbers. The time to start is just before 10.00 pm at present and with small flies, Peter Ross, Butcher, and Alexander have all done well. Over the last weekend two rods accounted for 10 peal , with 4 others lost, up to 4 lbs. Two Salmon also taken over the weekend and up to now. One was only 2.5 lbs and the other 10 lbs. With heavy rain around, the rivers have moved a bit and the prospects are great , so why not fish ! River exhibition at South Molton Museum 1 July to 28 August and special open evening on Friday 24 July, click here for details. Information from the EA on Fungal Infections in Salmonids. Click here. In future river reports will appear in Current News. The link to the Lower Taw webcam has been removed since it can only be accessed on a subscription basis from Farson Digital. The links to the other two webcams remain though it is necessary to “sit through” advertisements before viewing the webcams themselves, unless you are a Farson Digital subscriber. For more detail on Farson Digital changes, see Current News entry dated 2 March. We are members of ER&SG alongside the Exe, Barle and Lyn. 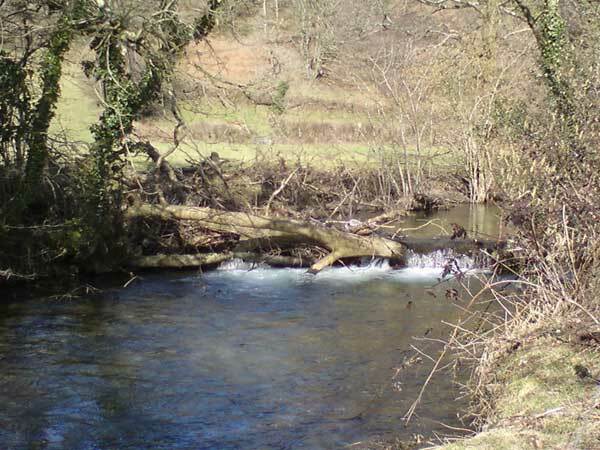 The Group’s main aim is to demonstrate to the Exmoor National Park Authority the importance of rivers to Exmoor and the need to protect them. In support of this Alex Gibson wrote the following article for Parklife, the National Park magazine. Click here to access. Trout & Salmon is running a high profile campaign to create a fund to be used for salmon conservation purposes. Angling clubs and associations as well as river trusts have been asked to pitch competitively for the funds being raised. Our umbrella body, South West Rivers Association, with the support of all South West rivers including the Taw, has made a pitch which is now on a short-list of 8. If successful SWRA would use the funds to buy-out the remaining licensed salmon netsmen in the South West. 3 of these netsmen remain on the Taw/Torridge estuary following our own earlier buy-out of 11 of them. Please support SWRA’s bid - Pitch No. 6 - by using the online voting link www.saveoursalmon.org. The pitches can also be read in the current edition of Trout & Salmon – pages 14-17. Also please encourage your other fishing contacts who may not be members of RTFA to vote for SWRA’s bid. Final rod catch numbers for the 2014 season have just come available: salmon 115 - 95 returned (83%); sea trout 290 - 218 returned (75%). I hope that this season we can continue our high return rate for salmon and, in the light of continuing concerns about sea trout numbers, bring the return percentage for sea trout to the same high level. As many Taw fishermen will already be aware, our river has been fishing very well this season. The best estimate for the salmon catch to date is 30. Some sea trout have also been caught, but the main sea trout runs are still awaited. 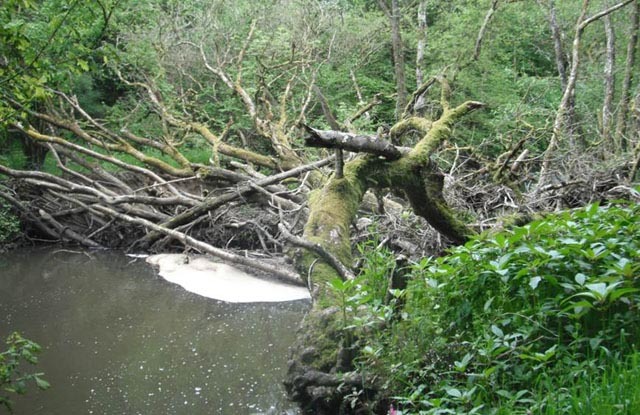 A UDN-like disease is being seen on a number of rivers in the south-west. 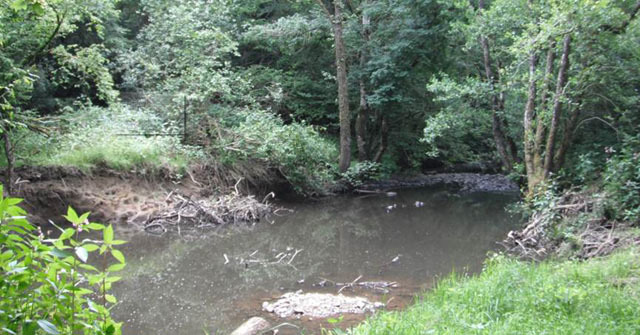 To date only one diseased fish has been reported on the Taw. Any fisherman who sees a diseased salmon or sea trout is asked to report it forthwith to our Taw Fisheries Officer, Paul Carter, on 07768007363. During their 2014 season the remaining salmon netsmen in the estuary took 32 salmon and 64 sea trout. Our own rod catch numbers are not yet available from the EA. Without wishing to pre-empt my AGM and newsletter reports a few thoughts about the season just past and current matters of interest may be appropriate at this time. The 2014 season started well, but petered out through lack of water. Rod catch numbers are not yet available from the EA. Salmon numbers will be up on 2013. We probably outperformed other southwest rivers. Sea trout numbers were disappointing again though some large specimens were taken (and returned). I know of 4 double figure fish. Across the southwest sea trout numbers have varied greatly from river to river and reasons are hard to find. Our own numbers may be similar to last year's. This winter's spawning has provided a mixed picture so far. There are good signs on the Upper Taw and the Bray, but the Mole has been disappointing. It is unclear whether all fish have spawned yet. The weir project is almost finished. North Tawton and Eggesford, both easements and not too challenging, have been carried forward to next season. On the Mole system gravel washing was carried out at 130 sites. This was a £12k project on a 50/50 match funded basis between RTFA and Fisheries Local Action Group, masterminded by our Treasurer, Mac McCarthy. It also included some debris dam removal. On a broader front two subjects are worth mentioning. We are working closely with our sister river, the Torridge, and also with the South West Rivers Association and Angling Trust in pushing for a ban on netting for sea fish in the Taw/Torridge estuary because of the damage caused to our salmon and sea trout stocks from the resulting by-catch. The netting byelaws are up for review shortly by the Devon & Severn Inshore Fisheries & Conservation Authority. Also we are linking with other interested parties, including the Torridge again, to see what can be done to avert the potential environmental threat to our estuary posed by the 19 hectare landfill site at Northam Burrows, parts of which have been uncovered by recent winter storms. 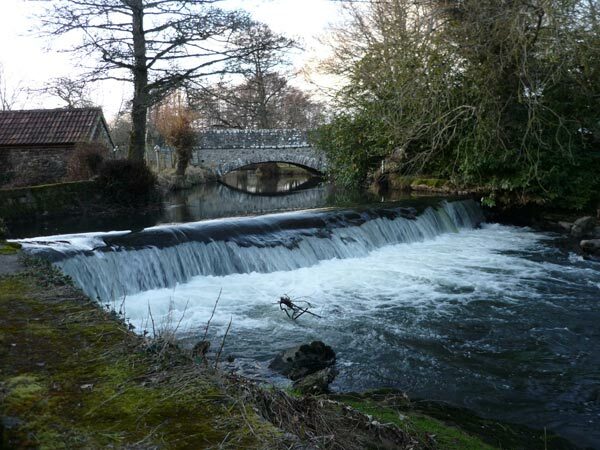 An eel pass has now been added. This can be seen in the right lower corner of the fishpass in the first picture and running parallel to the fishpass in the second picture. Welcome home Salar, after your long and dangerous journey we have tried to make your home as welcoming as possible. The NORTHERN Devon FLAG - Fisheries Local Action Group, has part funded the project to "wash" the gravels in your spawning territories. The project was also part financed by the European Fisheries Fund - Investing in Sustainable Fisheries and was in partnership with the River Taw Fisheries Association who provided funds pro rata. The gravels had been degraded by the impact of sediments which made it very hard for salmon and sea trout to cut their redds. 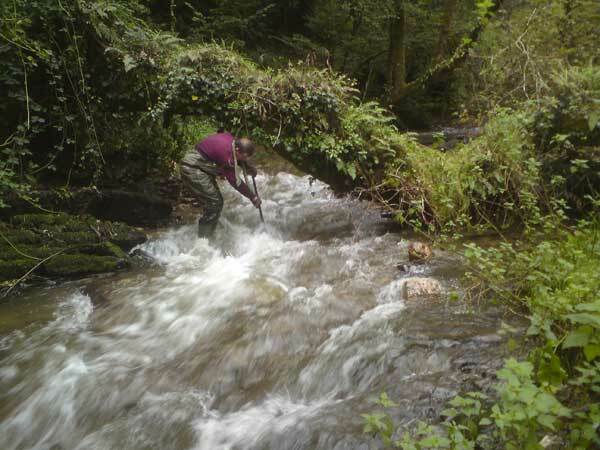 The washing process loosens the gravel by insertion of a pressure hose in the impacted gravel which also clears the sediment leaving the area in pristine condition for the returning fish. The journey both ends and starts at the spawning area, the old generation giving birth to the next cycle of life for these amazing creatures. The work was undertaken on over 130 sites on the Rivers Bray, Mole and principally the Molland Yeo covering over 2000 square metres of redds. The hard physical work was carried out by Jeremy Weeks and his assistant James Tapp. Well done and thank you. We hope for good spawning this winter. 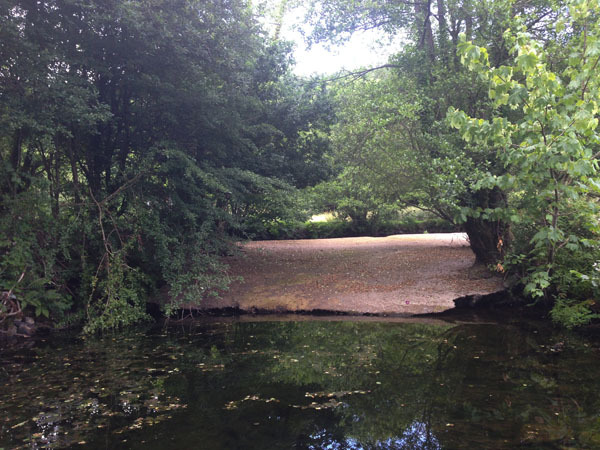 To improve the condition of gravel in which our fish spawn where it has become compacted, there has been a concerted programme of gravel washing this season. 130 sites have been tackled on the Mole system (Mole, Bray and Molland Yeo) and 83 on the Upper Taw system (Upper Taw, Little Dart, Sturcombe, Crooked Oak, Lapford Yeo, Dalch and Little Silver). The work on the Upper Taw system was part of the continuing TRIP/Taw River Improvement Project; the work on the Mole system was a match funded operation with FLAG/Fishermen?s Local Action Group. 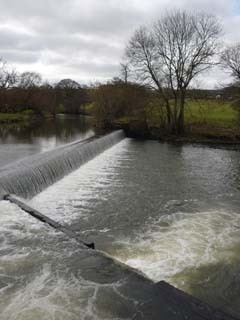 The improved fish pass on the left bank in good water conditions. 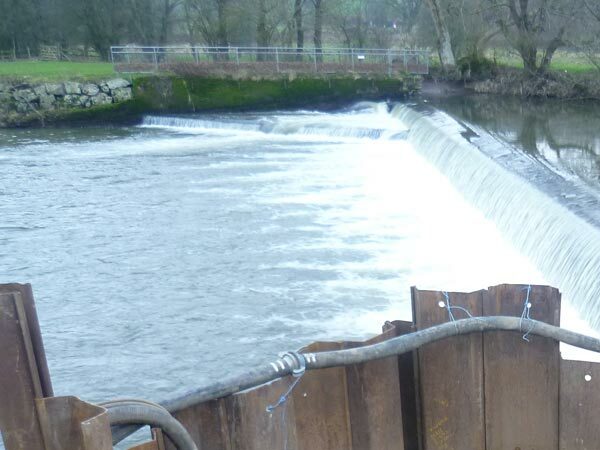 A Larinier fishpass has been installed at Filleigh Weir on the Bray and looks to be working well. 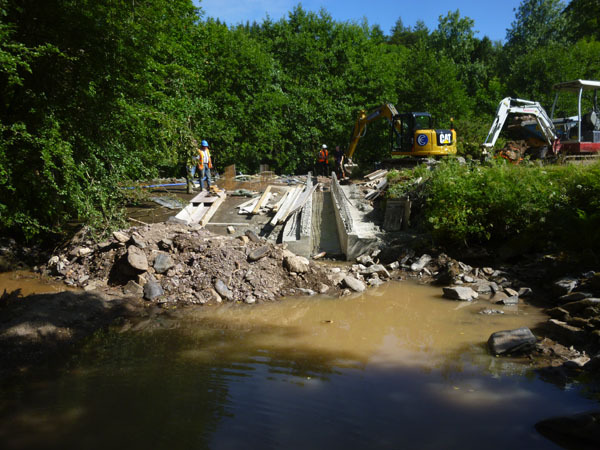 Of the 12 weirs on the main system only the weirs at Rashleigh, North Tawton and Eggesford remain to be completed under the Taw Access over Weirs Project. At Rashleigh stonework has been completed in and around the old fish pass. This is the base to which the metal nappe plate will be fixed to improve fish access. At Filleigh the site has been prepared for installation work on the Larinier fishpass which will replace the present problematic fishpass. The main focus of TRIP is on improving the Upper Taw catchment - water quality, habitat and access. Improving access is not simply about weir work. Trash dams also form barriers to migration. The Little Dart is very susceptible to this problem. Two trash dams have been removed to date and four more should go by the end of the season. Some of these dams contain up to 10 tons of timber. The pictures below were taken upstream of Cheldon Bridge and show trash dam, river post removal and timber removed. 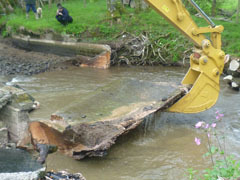 Six smaller trash dams have already been removed from the Upper Taw near Brushford. 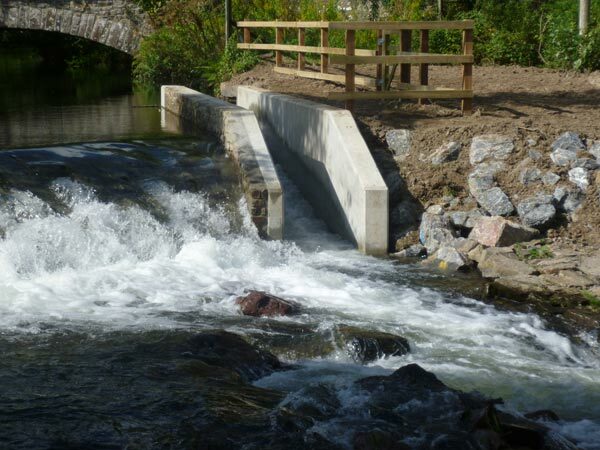 The Larinier fishpass at North Molton has now been completed apart from some general tidying up of the site. No barriers to migration now for Mole fish between estuary and upper spawning grounds. Work has been proceeding well in the good weather. We are probably about 2 week?s away from completion. 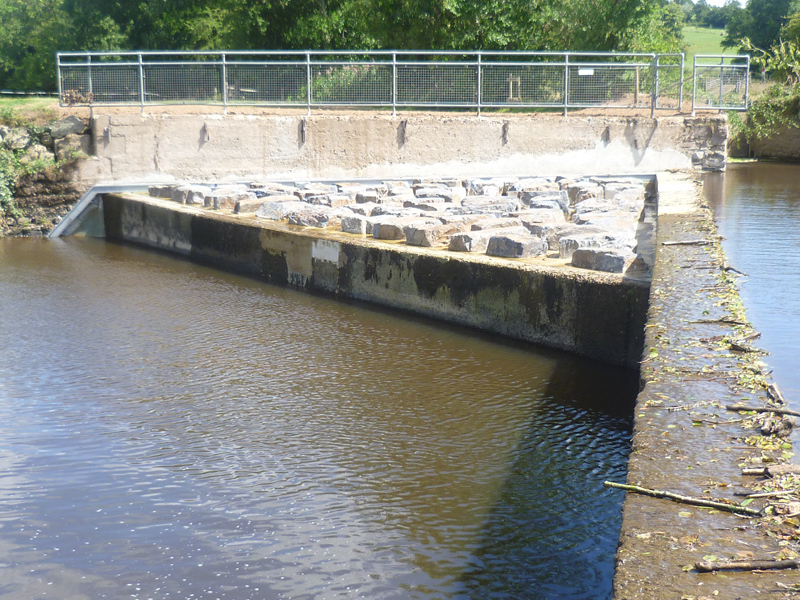 The concrete fishpass remains to be stone-clad and the river bed properly restored. 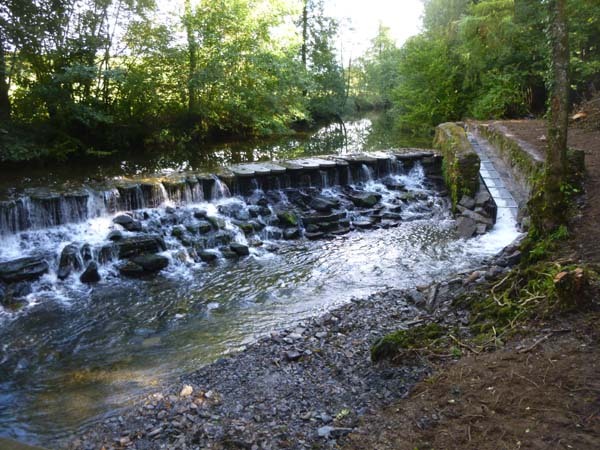 Work started on 30 June to install a Larinier fishpass at this weir. The pictures below show the weir in its original state and the construction progress made by 10 July. RTFA members will be pleased to learn that Judith Kauntze, our Newsletter Editor, has been awarded the British Empire Medal in the recent Queen's Honours list for services to the community in Devon. When you go into River Reports now you will see that the river reports themselves are shown separately from the webcams. This should make access easier. To read the 2014, year 2 Taw River Improvement Project (TRIP) report ,put together by our partners, the Westcountry Rivers Trust, click here. To read the Environment Agency Fisheries Newsletter January to March 2014, click here. Last year?s rod catch was poor ? salmon 59 (53 returned); sea trout 208 (146 returned). Given the extended period of drought this should not surprise us and does not present a fair picture of Taw fish stocks. We returned 90% of salmon caught and 70% of sea trout ? room for improvement on sea trout. The estuary net catch however was 53 salmon and 88 sea trout. Compare this with the number of fish taken by Taw and Torridge recreational fishermen together, 8 salmon and 80 sea trout and a good argument can be made for quotas on the estuary nets and for the elimination over time of all such netting. Fishtek Consulting are helping to organise the RISE flyfishing film festival in the UK . The festival is a showing of flyfishing films on the big screen and there are several great films lined up for this year. There are two showings in the UK this year, one of which is in Exeter on the 21st May. The aim is to then increase the number of showings to half a dozen or so from next year. "Sad to report, James Williams died at home earlier this week. James was a long-time supporter of RTFA. He loved the Taw and was a member of the Lower Braggamarsh syndicate. Many members will remember him speaking enthusiastically about otters at our 2012 AGM. He was Chairman of the Somerset Otter Group for over 20 years and last year received a MBE in the Queen's Birthday Honours List for his services to otter conservation. He will be greatly missed. Alex Gibson"
The Access over Weirs Project, now subsumed into the broader Taw River Improvement Project, aimed to deliver passes or easements at all 12 weirs on the main stem of the Taw system. To date this has been achieved at 7 weirs: Head Weir (Mole), Clapworthy (Bray), Colleton, Irishman's Wall, Skaith, Sticklepath and North Wyke (all Upper Taw). If all goes according to plan work on the other 5 weirs should be completed this season. These weirs are North Tawton, Eggesford and Rashleigh (all Upper Taw), North Molton (Mole) and Filleigh (Bray). Let us hope for good river conditions - a sensible fishing height - to enable the work to move ahead uninterrupted. A huge trash dam which had built up on the Bray below Brayley Bridge following last winter's spates was removed recently using TRIP funding and local teamwork. The pictures below tell the story. 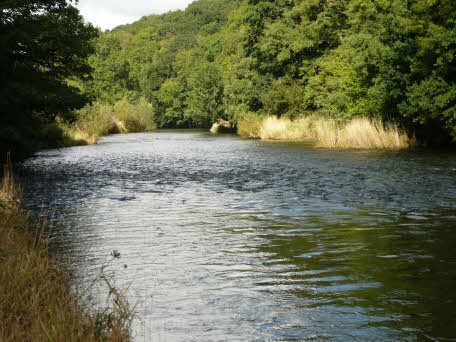 Members wishing to know more about the Taw River Improvement Project (TRIP) should follow the links below to two documents put together by our partners, the Westcountry Rivers Trust. 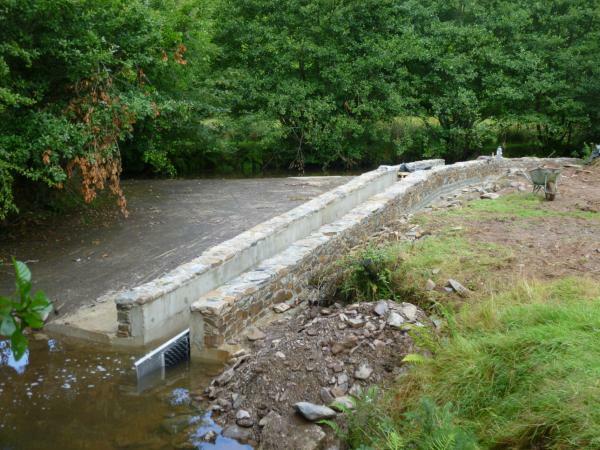 Sticklepath Weir now has three pre-barriers in place to help salmon and sea trout ascend the narrow, steep river gorge and pass over the weir on their way to Dartmoor. The first picture shows the weir with the entrance to the leat on the left under the metal door. The leat feeds the overshot waterwheel which powers Finch?s Foundry, the last example of a working water-powered forge in England. It is a Natural Trust property and well worth a visit. 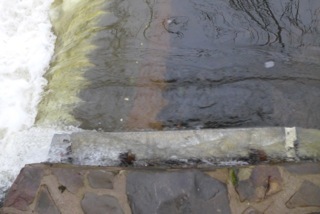 The second picture shows the three pre-barriers below the weir. The first and second pre-barriers are easy to see. The third and lowest pre-barrier is almost camouflaged having been built into an existing rock formation. The old fish pass on the right bank has now been decommissioned. An elver pass has been installed along the side wall with the elver brushes inside metal housing. The second picture shows the bottom section of the elver pass. The following link, click here, gives access to the Environment Agency briefing to water users in Devon and Cornwall on salmon and sea trout mortalities. Members are requested to email relevant information about dead or diseased fish to the RTFA Secretary, George Marsh (mrgeorgemarsh@yahoo.co.uk). This can then be collated by us and passed to the EA. As regards the Taw system specifically, no reports of diseased or dead fish have been received by the EA for several weeks and recent efforts to net a diseased Taw fish for analysis purposes were unsuccessful. (Some healthy sea trout were netted and returned unharmed.) Of course few fresh fish will have entered the river in the last few weeks, given the extremely low water conditions. Our hope must be that the worst is over and that when rain finally comes the runs of fresh fish will be disease free. Time will tell. The EA have captured a diseased salmon and taken it to their laboratory in Brampton for analysis. We await the results. As good practice Taw fishermen should make sure all their fishing equipment is properly disinfected whenever they fish on other waters. Members will be pleased to hear that James Williams who fishes at Braggamarsh on the Taw and is Chairman of the Somerset Wildlife Trust’s Otter Group has been awarded an MBE in the Queen’s Birthday Honours list for services to otter conservation. James has written books on the otter and members who attended the 2012 AGM will remember his talk, An Update on Otters. As many Taw fishermen will have noticed there are some diseased salmon in the system and in some cases dead fish have been seen. 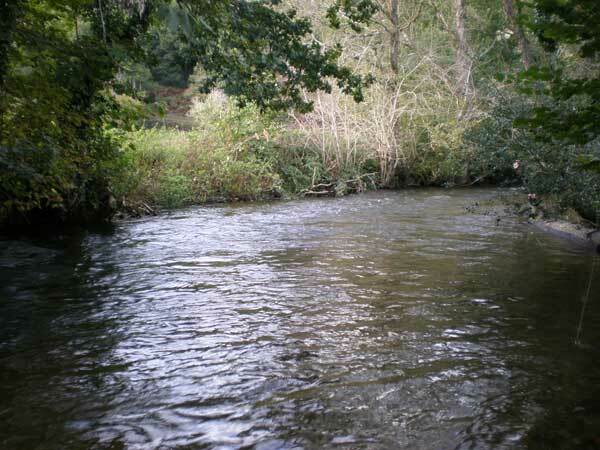 This fungal disease is not peculiar to the Taw, but has been reported in other Devon rivers. To date no diagnosis has been possible. The Environment Agency, who are fully aware of the problem, have plans to capture a diseased fish -a dead fish will not provide the information required - and transport it to their laboratory in Brampton for analysis. There are apparently a number of possibilities and we should not jump to conclusions. When we receive the full diagnosis we will publish details along with "does" and "don'ts" for fishermen. The finishing touches have been put to the North Wyke weir site. The banks have been shaved and coir matting laid as protection while new growth comes through. The new Larinier fish pass at Colleton Weir was opened yesterday and seems to be working well. Landscaping work needs to be completed. An elver pass will then be installed in the old fish pass on the right bank. 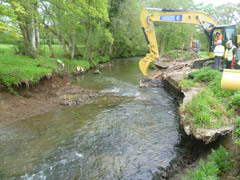 As part of the Access over Weirs Project North Wyke Weir on the Upper Taw was removed yesterday. By the end of the week all peripheral work will be finished. The whole site and the banks will be as nature intended them. The following pictures show the situation before, during and after. The Larinier fish-pass is in its final construction phase. 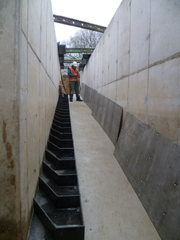 Baffles will be fitted on the right side of the base and the metal plates shown will be fixed to the right wall to provide access for lampreys. Elver brushes will be inserted into the old fish-pass on the opposite bank. A successful AGM was held at Highbullen Hotel on Friday 22 March with 52 members and guests attending. A presentation on behalf of RTFA was made by the Chairman to Humphrey Wood who will be leaving Devon in appreciation of all he has done for the Taw over many years, including being the driving force behind the original net buy-out and the Access over Weirs Project with Head Weir Falls and the Clapworthy fish pass. The Chairman in his address thanked all the Committee for their support, in particular those stepping down. He also thanked the Environment Agency and the Westcountry Rivers Trust for all their efforts during the year. 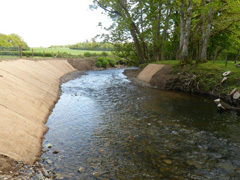 The Access over Weirs Programme is effectively subsumed into the Taw River Improvement Project (TRIP) which covers access, water quality and habitat. Improvements at Colleton and Rashleigh Weirs should be finished this year along with the removal of North Wyke Weir. Design work is going ahead for improvements to North Tawton and Eggesford Weirs. 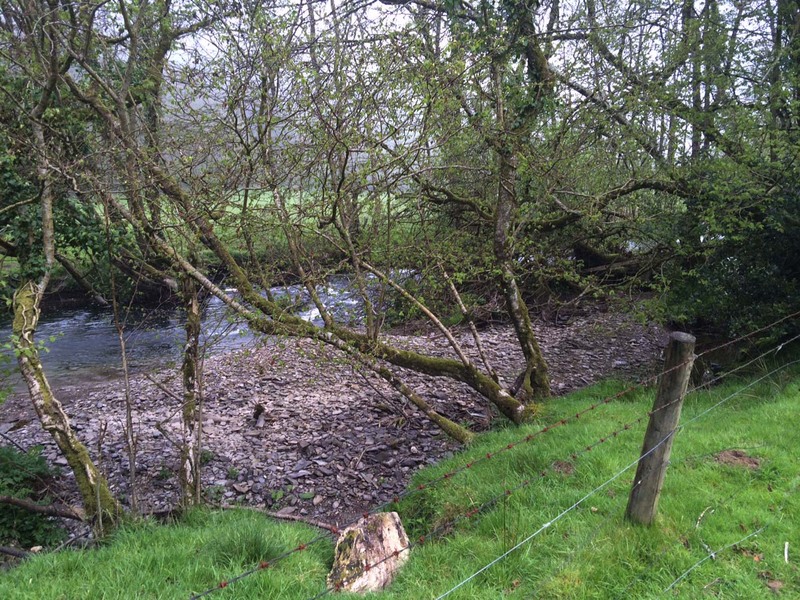 This leaves only North Molton and Filleigh Weirs on the main stem to be tackled. On the Lapford Yeo, Bugford and Lapford Weirs have been breached by the recent floods. Upper and Lower Taw members who contributed to the Upper Taw weir programme were thanked. Preliminary rod catch figures for 2012 are 223 salmon (70% returned) and 354 sea trout (80% returned); actual 2011 numbers were 353 salmon (70% returned) and 602 sea trout (71% returned). RTFA working with the Torridge Association is in discussion with the EA and the newly formed Devon & Severn Inland Fisheries & Conservation Authority regarding the salmon and sea trout by-catch which results from bass and mullet drift net fishing in the Taw/Torridge estuary. The aim is to have the byelaws changed to eliminate or limit this problem. Two riparian owners have put a number of salmon and sea trout fishing days into the WRT's Angling Passport Scheme this season. Proceeds will be held by WRT for Taw improvement work. It is hoped that more riparian owners will follow this lead next season. The Secretary emphasised the importance of having emails for every member for reasons of efficiency and cost. He also thanked those running the website and putting in fishing reports. The Treasurer reported that subscriptions were marginally down. This led to a slightly lower transfer to the River Taw Trust after the one off cost of £400 for the Upper Taw webcam. RTT funds which are ring-fenced for river improvement work were increased by £4,216 overall, mostly as a result of last AGM's record auction proceeds of £3,530. Net membership is down by 2. Members were encouraged to ask those who fish their water to join RTFA and at the same time were asked to pay subscriptions by standing order. Subscriptions will remain at £35 for members and £15 for associate members. The guest speakers were Dr Tom le Quesne, Freshwater Policy Officer, World Wildlife Fund (UK) who talked on global water problems, "At the Water's Edge - a Review of the Global Water Crisis", and Dr Dylan Bright, Director of WRT, who gave a presentation on "The Future of catchment Management", a subject relevant to TRIP. There was a lively discussion period. Thanks to Chris Taylor the auction was a success raising £2,674. Those providing and those buying lots were thanked. The evening was rounded off by an excellent supper. The Westcountry Rivers Trust has had a short river restoration piece made which is now on the BBC website – Click here. It features Dr Dylan Bright, Director, WRT, and relates to a number of Catchment Restoration Fund projects including our own Taw River Improvement Project (TRIP). As a result it is highly relevant to the work currently underway on the Taw system. For further background, please refer to the item below dated 4 September 2012. The Environment Agency started work here in late November and construction is progressing well despite difficulties caused by the major flood at the end of December. The following pictures show the weir with the old, inefficient fish-pass on the far, right bank and the excavation work on the near, left bank which will house the new Larinier fish-pass*. An elver and eel bristle-board pass and a lamprey plate pass will be built into the old fish-pass. * To see a Larinier fish-pass in operation scroll down to Clapworthy Weir, 17th September 2011. * Colleton Weir - work has started on installing a Larinier fish-pass on the left bank. * Rashleigh Weir - a Larinier fish-pass is planned for the right bank next season. 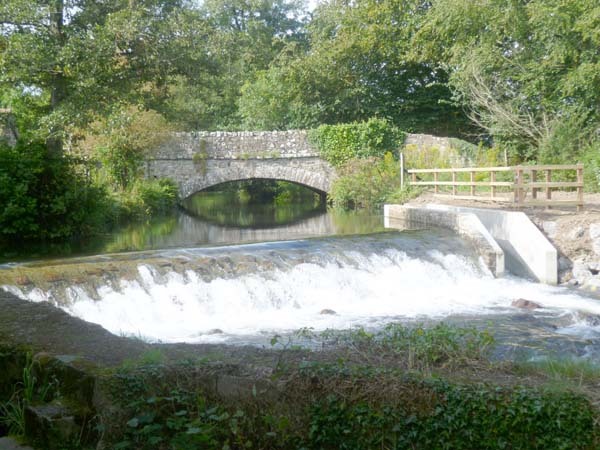 * Eggesford Weir - pre-planning has started for improving fish access. 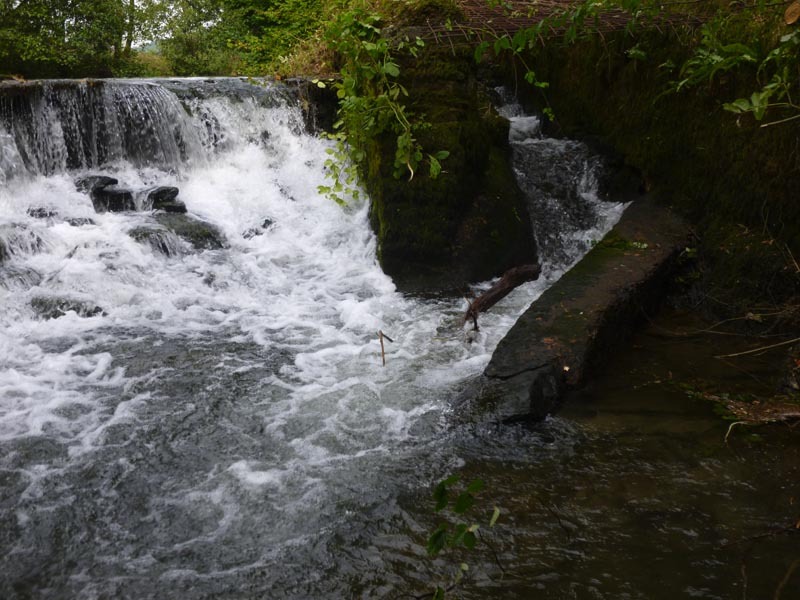 * North Wyke Weir - removal will take place next season. 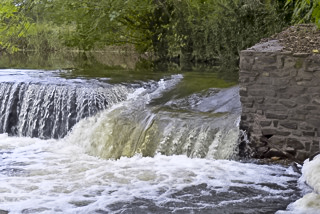 * North Tawton Weir - at the planning stage for access improvement. 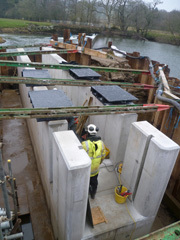 * Sticklepath Weir - installation of three pre-barriers is almost complete. Good progress is being made despite adverse river conditions. More settled weather through next season is to be hoped for. The Taw river catchment is to benefit from £1.8 million of restoration work over the next three years. The Taw River Improvement Project (TRIP) aims to improve the health of this vital river ecosystem through targeted habitat management work and by reducing the amount of pollution entering the rivers. 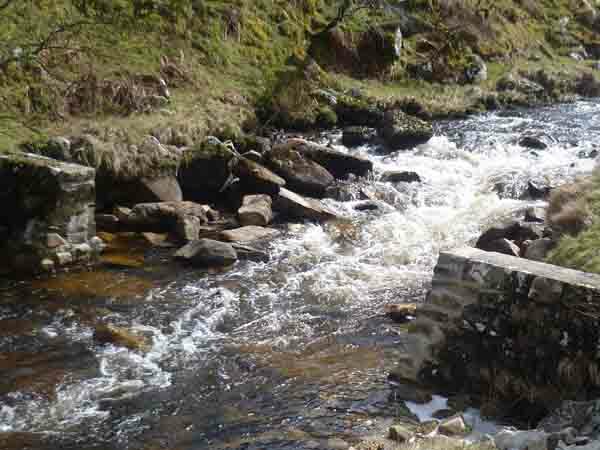 Funding will also be used to remove obstacles such as weirs. Removing these blockages creates joined up habitats, enabling fish and other aquatic animals to move freely between different stretches of river. The project partnership is led by the North Devon Biosphere Reserve and the Westcountry Rivers Trust and includes numerous partners ranging from the River Taw Fisheries Association and the Devon Wildlife Trust to the Tarka Country Trust. 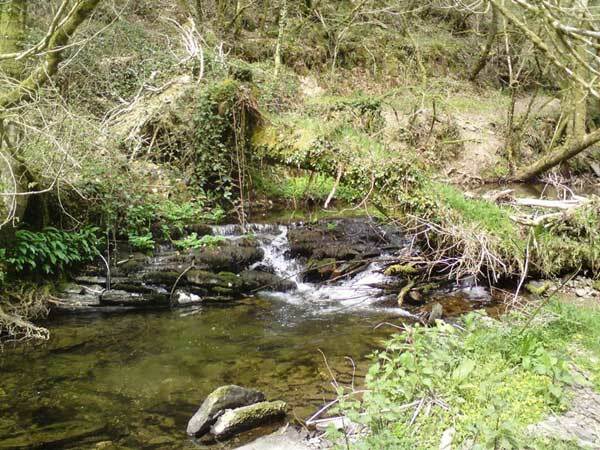 The project will be managed by the environmental charity, the Westcountry Rivers Trust, which made the successful bid to the Environment Agency for funding from the Catchment Restoration Fund (CRF). The CRF was made available by Defra following commitments made by the government in the recent Natural Environment White Paper. Dr Dylan Bright, Westcountry Rivers Trust Director, said, "We have worked with voluntary groups on the Taw river for many years and we have noticed a gradual increase in how much people value the river for a whole variety of reasons. Mostly, however, people seem to innately understand that rivers are where everything comes together; the quality of the river reflects how sustainably we live on the land. Rivers have been harnessed and put to work during our industrial history and although this is no longer necessary, this historic use has limited the rivers ability to protect and provide for us in many other ways. Our work will let them run wild again which will enable them to deliver all the other things we need from them which have, until recently, been overlooked." Richard Cresswell, Environment Agency Director South West, said, "We have many beautiful and important rivers in the South West. Their quality has been improved tremendously over the past 20 years but there is still a lot to do. I really welcome the work being done by partners such as the Westcountry Rivers Trust. These new projects are particularly exciting and will hopefully engage communities in improving their local river environments." David Baxter, Head of Catchment Management at the Environment Agency, said "The bid from the Westcountry Rivers Trust exemplified what the Catchment Restoration Fund aims to do; consider the catchment as a whole, solve problems through working with a range of partners and, most of all, to deliver benefits across society. Water is essential for life and livelihoods. These projects will restore a more balanced approach to land and water management that sustains people and wildlife." 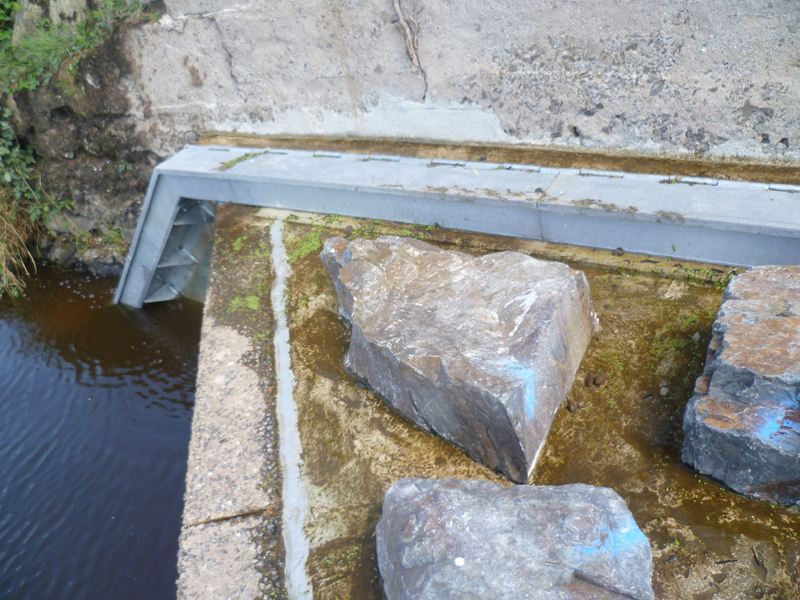 · Skaigh - Upper Taw, showing pre-barrier installed to improve weir pool and reduce weir height. · Sticklepath - Upper Taw, pre-installation of 3 pre-barriers this season to improve access. · North Wyke - Upper Taw, pre probable removal this season or next. 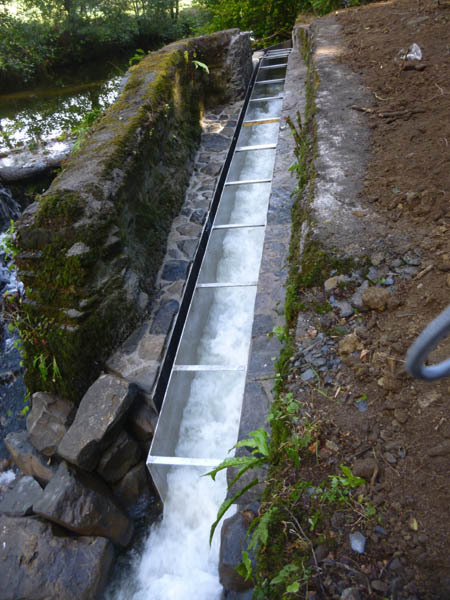 · Rashleigh - Upper Taw, pre-installation of Larinier fish pass on right bank planned for next season. 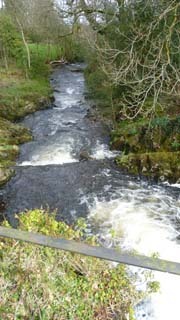 8th May 2012: Final catch return figures for the 2011 season on the Taw have just been published by the EA. They show 353 salmon (247 released -70%) and 602 sea trout (428 released - 71%). The nets on the Taw/Torridge estuary took 52 salmon and 107 sea trout. 6th April 2012: The Annual General Meeting was held at Highbullen Hotel on Friday 23 March. It was well attended and was followed by a successful auction and enjoyable dinner. The Chairman's Address: Alex Gibson, welcomed everyone especially guests from the EA, SWRA and Torridge Association and thanked the Committee for their work and support during the year. He then gave an up-date on the Access over Weirs Project which is proceeding well with Clapworthy completed last year as well as work done on three weirs high on the Upper Taw. Plans this year are to improve two other Upper Taw weirs, Colleton and IGER with Rashleigh following next year - all of course subject to funding which is raised on a partnership basis between riparian owners, EA and WRT. 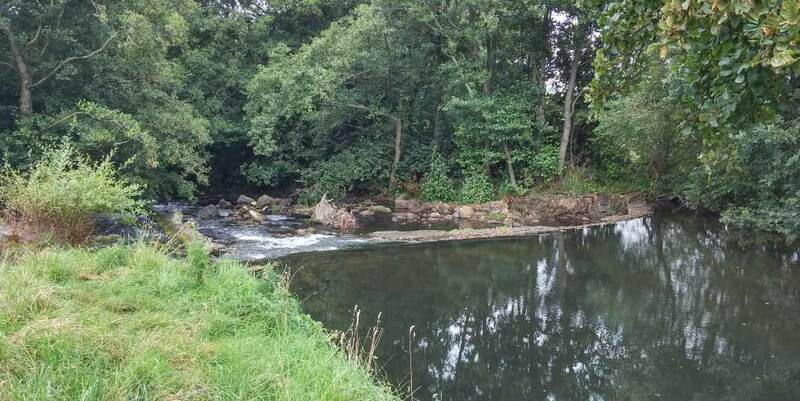 The new arrangements at Head Weir Falls and Clapworthy have been working well with more fish in better condition higher up the system which bodes well for the future. The Treasurer's Report: Mac McCarthy reported that receipts were down marginally - there was a net loss of two members from 140 to 138 - and there were one off costs relating to the Upper Taw webcam and the new Good Practice Guide. 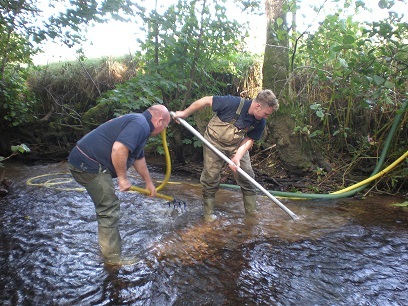 This led to a smaller transfer to the Taw Trust where we accumulate funds, currently £6,658, for river work. 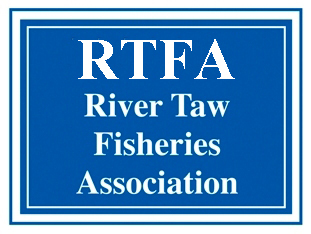 All who fish the Taw should be encouraged to join RTFA and member were asked to assist here. The Treasurer also covered work done in relation to the Walk-Over Survey: 3 trash dams and one small weir removed, essentially by volunteer teams. (Anyone interested in such volunteer work should contact the Secretary - 01598 740 333. There is much to be done). He also mentioned that the 10 year renewal of the Taw-Torridge net limitation order will be for one net, although the existing 3 nets will, under the original buy-out arrangement, continue to operate until retirement. Guest Speaker: James Williams, Taw fisherman and Chairman, Somerset Otter Group, gave an interesting and enlightening talk, "An Update on Otters", which corrected the bad press that otters have been receiving from members of the fishing fraternity. The talk was very well received and there was a lively question and answer session. The Auction: Chris Taylor, ably supported by Bryan Martin and Mac McCarthy, ran a most successful auction which raised almost £3,500 for the Taw Trust. This is significantly more than previous years and was the result of hard work by the organisers and generosity by those providing lots and those bidding for them. Thanks were given to all involved. 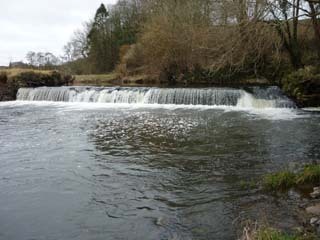 19th February 2012: Members, particularly those who fish the Upper Taw, will be pleased to hear that there is now a webcam on the Upper Taw. It is situated at Garage Pool, downstream from the Fox & Hounds. This completes our coverage of the Taw system. This webcam, as well as those at Umberleigh Bridge on the Lower Taw and at Watertown on the Mole, can be accessed via the links page of this website. It shows as Taw Chulmleigh. Key messages from the Atlantic Salmon Trust Ocean Silver Conference can be seen here. ‘Ocean Silver' attracted nearly 200 delegates, and feedback has been strongly supportive of AST's initiative to use SALSEA data to find ways of improving the efficacy of fisheries management. Head Weir Project - An article from the autumn 2011 edition of Confluence, the Journal of the Westcountry Rivers Trust. 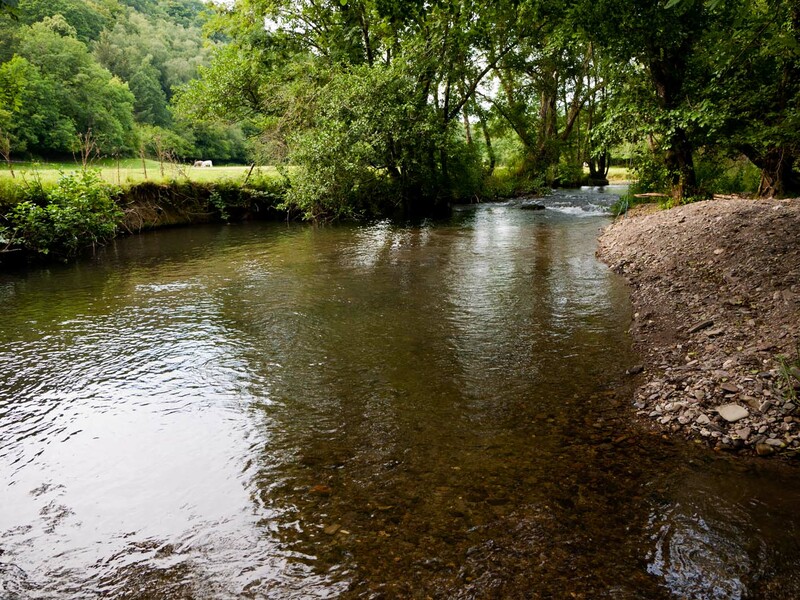 OUR WORK TO REMOVE OBSTACLES TO FISH MIGRATION AND IMPROVE WATER QUALITY IN WESTCOUNTRY RIVERS HAS HAD THE SUREST INDICATION OF SUCCESS SO FAR. 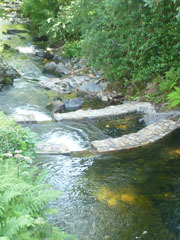 First, in July 2011 a pair of sea lamprey were sighted and filmed spawning upstream of the new fish friendly boulder ramp, built to replace the now disused 'Head Weir' on the River Taw in Devon. 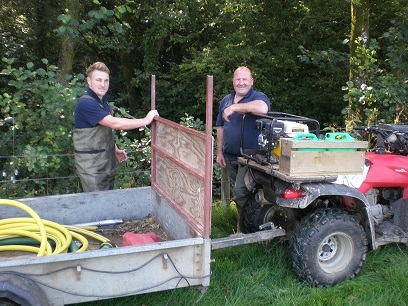 The cavorting Lamprey were spotted and filmed by local fishermen, Maurice Dyer and Jon Jonik. Sea lamprey and Atlantic salmon are examples of fish species that breed in rivers, migrate to sea to grow into large adults and then return to the same rivers in which they were born, to breed again. These two species have very high conservation status, equivalent to some of the rarest birds and mammals in the UK, so it is fantastic to see such a tangible indication of the success of this conservation work. The prevalence of weir building during the industrial revolution to harness water-power caused many rivers to become fragmented habitats for migratory species, greatly limiting their range and their abundance. 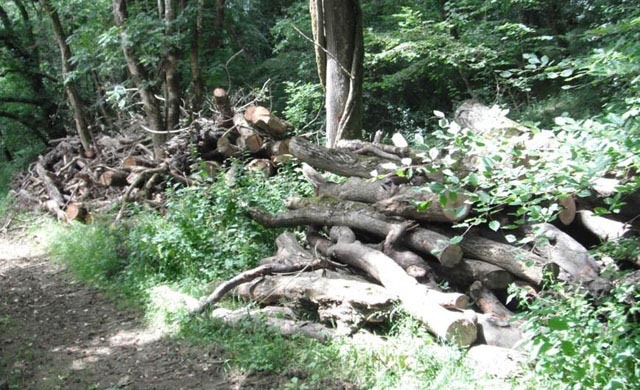 Recent funding received from DEFRA via the Association of Rivers Trusts, targeted to deliver the EU Water Framework Directive, has facilitated a great deal of work to remove redundant obstacles in order to reconnect the river. 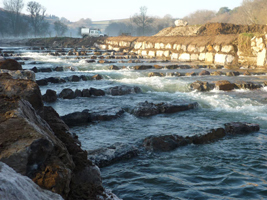 The Head Weir Project, completed in October 2010, was the brain-child of the River Taw Fishing Association and the Westcountry Rivers Trust, as part of the Taw Access over Weirs Project. The project was funded and delivered by these organisations in close collaboration with, and with huge support from, the Environment Agency. "Removing obstacles to the natural migration of wildlife species is one of the most important things we can do to give nature a helping hand. Until its recent removal through this innovative community collaboration, the weir had presented a major blockage to fish and other species wanting to migrate and breed upstream." Arlin Rickard, CEO, The Rivers Trust. Also in July this year, there was further excitement when increased numbers of the rare Allis Shad were again reported in the lower reaches of the River Tamar. Allis shad are migratory fish from the Herring family which were once present in our estuaries and rivers in huge numbers but which, in recent times, have become extremely rare in the UK. Now, thanks to significant improvements in water quality and reductions in the impact of netting in the estuary they appear to be returning to the rivers of the South West. 16th November 2011: As has been mentioned before we jointly funded a Walk over Survey of 70 km of the Taw system with the Westcountry Rivers Trust. The work was carried out by the WRT and covered sections of the Upper Taw, Mole, Bray, Holewater, Hacche, Mully Brook and Lapford Yeo. Many problems areas were identified. Most will require professionals to do the work and we are in discussion with the EA and WRT about setting priorities and funding possibilities. Other problem areas may be sorted out by our forming volunteer groups. Anyone interested in putting his name forward for such work should be in touch with our Treasurer, Mac McCarthy, on 01598 740 333. To give an idea of what can be achieved by volunteers two recent examples are set out below. A very small weir was identified in the Survey, outside our Access over Weirs Project and situated at Lower Molland on the Holewater, a tributary of the Bray. Mac McCarthy took the initiative, obtained all the necessary consents and, working with Eddie Rands, demolished the weir, thereby improving fish passage to Exmoor. No costs were incurred. 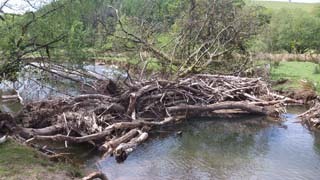 The Survey also showed a fallen tree creating a debris dam on the Bray at South Huntstone Wood. This has been cleared by the riparian interests, South Molton Anglers. Again no costs were incurred. 1st November 2011: The Access over Weirs Project has continued to move ahead. Following the successful completion of Head Weir Falls on the Mole and Clapworthy on the Bray attention has turned to the Upper Taw where we are grateful to the Westcountry Rivers Trust and the Environment Agency for the excellent work they are doing on our behalf. 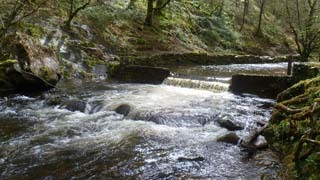 Belstone Weir, the topmost weir on Dartmoor, sometimes called Irishman's Wall and part of an old abstraction point once used by South West Water, has been brought down by means of a controlled explosion. ( The before picture shows the weir "wired" and ready to go.) The remote location on the moor and the difficulty of getting plant to the site ruled out other dismantling methods. 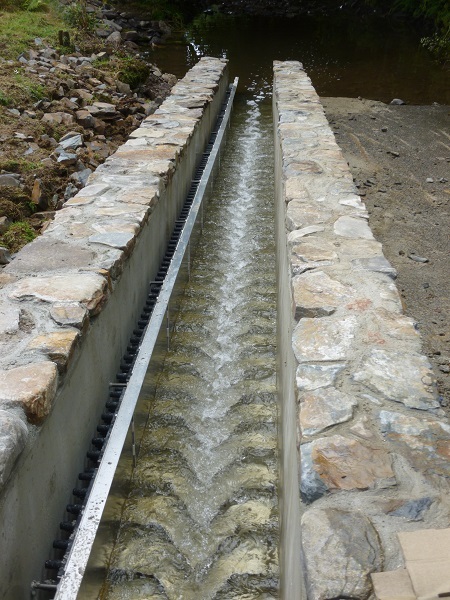 Skaigh Weir, an EA gauging weir below Belstone, has had improvements made to increase the depth of the downstream pool. This will enable fish more easily to overcome the weir. 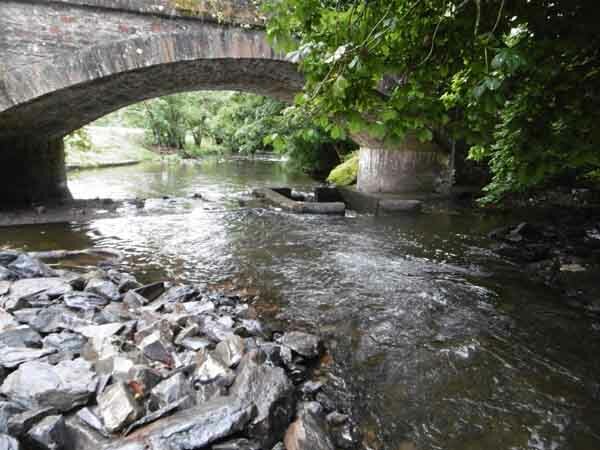 Design work is being carried out for new fish passes at Colleton Weir and Rashleigh Weir, the first two weirs on the Upper Taw above Junction Pool. The next stage will depend on the availability of funds. It is hoped that Colleton will be completed next year. 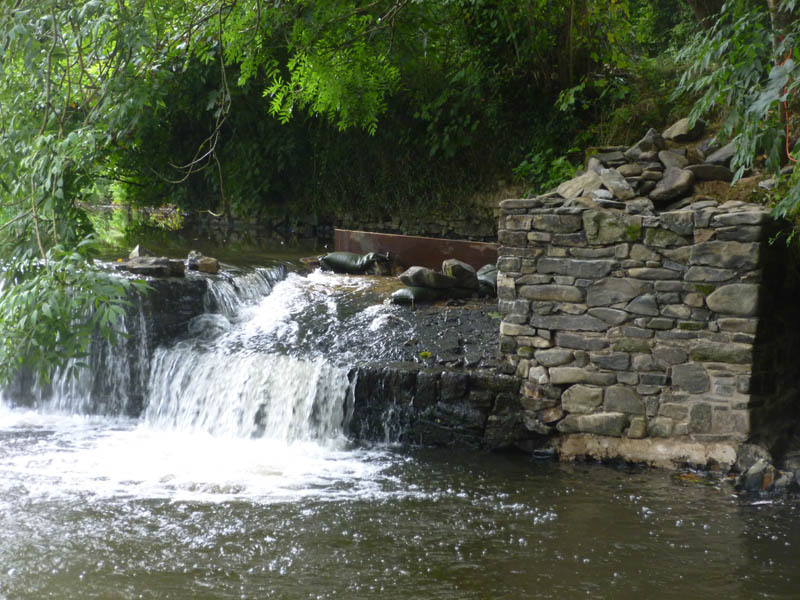 Further up the Taw plans are underway to reduce the height of Sticklepath Weir, the water intake for Finches Foundry below Skaigh and discussions have started with a view to dismantling North Wyke Weir, the next one down. It is hoped that both these projects will be completed next year, again subject to funding. 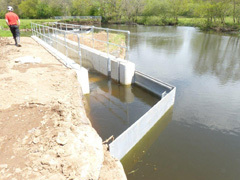 17th September 2011: The in-river work at Clapworthy Weir has now been successfully completed. The Larinier fish-pass on the left bank is in operation and the weir itself has been made good. Some tree replanting will take place on the left bank later in the year. 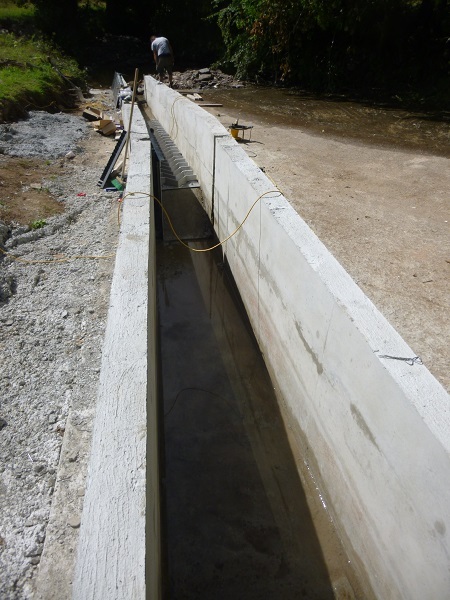 The new fish-pass will ensure that more fish in better condition reach their spawning grounds on the upper reaches of the River Bray. Before and after pictures of the weir are shown below as well as a closer picture of the Larinier fish-pass itself. 4th August 2011: Members are encouraged to report sightings of cormorants and other fish-eating birds on the Angling Trust’s cormorant watch website: www.cormorantwatch.org. More than 25,000 birds have been logged on in the first two months. This is part of the Angling Trust’s campaign for reform of the policy relating to cormorants and other fish eating birds. 3rd August 2011: "There was a pollution incident on the Dalch near Black Dog on Saturday 30 July which resulted in a significant fish kill of 91 brown trout and 97 bullhead. The Environment Agency is investigating. 18th June 2011: Following a poaching incident above Umberleigh fishermen are asked to be especially vigilant during the continuing low water conditions that we are experiencing. Look out for 3 vehicles in particular, 2 transit vans, one blue and one white, and a silver Isuzu pick-up. Please call the EA hot-line, 0800 807 060, if you see anything suspicious along the river. A successful Annual General Meeting was held at Highbullen Hotel on Friday 2 March. About 50 members and guests attended of whom about 40 stayed on for supper afterwards. The formal proceedings included reports from the Chairman, the Treasurer and the Secretary which covered the following topics: the Taw Access Over Weirs Project, habitat improvement and the new walk-over survey, communication and the new website, our close links with the Southwest Rivers Trust, the Westcountry Rivers Trust and the Environment Agency as well as our finances which are on a sound footing. Bryan Martin stepped down as Secretary after five years. The Chairman thanked him for all his good work and presented an engraved glass plaque to him. George Marsh was unanimously voted in as our new Secretary. The Chairman and the first guest speaker, Dylan Bright, Director, Westcountry Rivers Trust, made a presentation to Humphrey Wood, accepted in his absence by the President, in recognition of all his efforts in bringing the Head Weir project to a successful conclusion. The presentation took the form of a framed picture showing the old Head Weir and the new Head Weir Falls. The Chairman thanked everyone involved in this project - riparian owners on the Lower Taw and Mole, the weir owner, Lord Lichfield, WRT and EA. Dylan Bright gave an informative talk on the Head Weir project, emphasising its importance, its scale and some of the hurdles encountered along the way. The second guest speaker, Paul Knight, CEO, Salmon & Trout Association, gave an interesting presentation on the wide-ranging activities of his organisation. Both speeches were very well received. The annual auction followed with Chris Taylor in his usual and successful role as auctioneer. There was a wider range of lots than in previous years and almost £2,000 was raised for the Taw Trust which will go towards future river improvement work. The evening concluded with an enjoyable supper.